On Saturday, March 25th Canadore’s West Parry Sound Campus hosted a free Mason Bees and Monarch Butterflies event in partnership with the Georgian Bay Biosphere Reserve. This workshop was generously funded by TD Friends of the Environment. 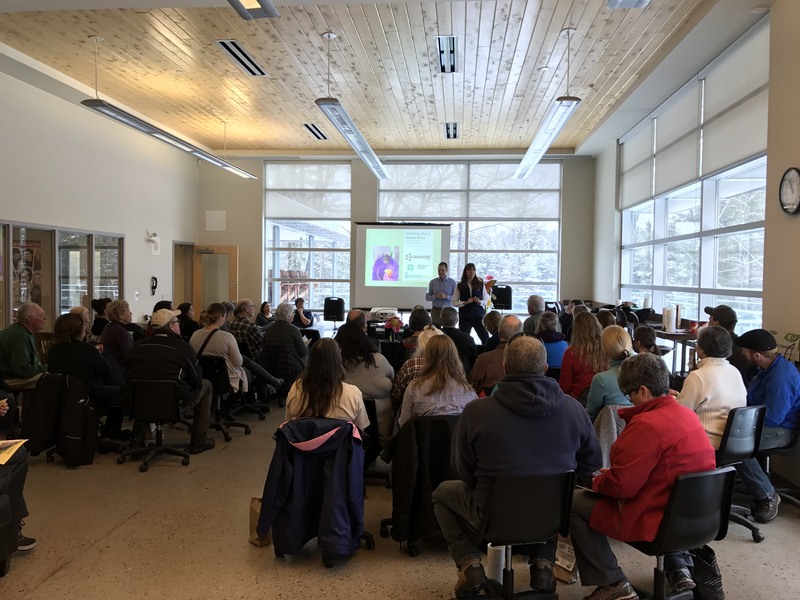 Fifty people from the Parry Sound area participated in the event, learning about local, native pollinators and their importance. During the workshop, participants listened to presentations about both monarch butterflies and mason bees. Did you know that unlike the well-known honey bee, mason bees are native to Ontario, do not have a hive, and are more effective at pollination? Participants were able to take home milkweed seeds and seed balls, so that they may be planted and grow pollinator friendly plants. They were also given a bee hut kit, which included mason bees and their nests to try their hand at raising bees on their own property. Thanks to everyone who supported the event and helped make it such a success.